Here are the first look 2017 fantasy baseball first baseman rankings as we now give all of our attention to the upcoming season. 1. Paul Goldschmidt: You earn the definition of a "ridiculous" player when you hit for massive power and steal 32 bases. In conversation as second overall pick behind Mike Trout. 2. Miguel Cabrera: While he is getting a bit up there in age, Cabrera showed in 2016 (38 home runs and a .316 average) he is far from done being a first round pick. 4. Edwin Encarnacion: The move to Cleveland will take a few home runs and RBI away but Encarnacion is as safe a power anchor as you can get. 5. Joey Votto: Posted a huge comeback campaign in 2016 when he hit 29 home runs and batted an insane .408 the second half of the year. Knee concerns are there but Votto safe again as as second round pick. 6. Freddie Freeman: Now that he has some support in the Atlanta lineup, a string of .315/.30 HR/110 RBI campaigns are set to launch. Swell value given the fact Freeman comes cheaper then guys listed above but could be just as good. 7. Jose Abreu: Some knock him for what they felt was an "off" 2016 but Abreu is more a .280 hitter then the .300 guy he showed as a rookie who was helped with his BABIP. In the end Abreu always gets his numbers. 9. Wil Myers: Stayed relatively healthy for the first time in awhile and the result was a quietly tremendous 28 home runs and 28 steals. You can call him a .275-hitting version of Paul Goldschmidt. 10. Chris Davis: The power is great but want no part of that .220 average. 11. Carlos Santana: Santana has now firmly settled into being a DH and 1B and he upped his numbers everywhere as a result a year ago. Won't hit much better than .260 without BABIP help but Santana is a tremendous UTIL or CI option. 13. Brad Miller: Not fully buying the breakout of Miller and all the home runs he hit a year ago but everyone else likely thinking the same will keep the price affordable. 14. Albert Pujols: Already dealing with foot problems as he comes off winter surgery that will limit him early in camp. Aging and average now no better than .250. 16. Mike Napoli: Rumors are he signs with Texas and that should ensure another cheap 25 home runs. 17. Buster Posey: Keep him at catcher. 19. Justin Bour: Have respect for the super-cheap 20-25 home run power. 20. Tommy Joseph: Intriguing as Joseph hit for big power when promoted last season,. Decent sleeper. 25. Greg Bird: Great power but my goodness Bird is a strikeout machine. The St. Louis Cardinals began the 2016 season by losing starting shortstop Jhonny Peralta to a broken thumb but little did they know a ready-made replacement was waiting to take off in the form of infield prospect Aledmys Diaz. Not even the Cardinals could have anticipated how Diaz would seamlessly transition to major leagues, both in the field and at the dish in a Rookie of the Year-worthy campaign. Diaz came out of the gates in March/April absolutely scorching with the stick as he hit a ridiculous .423 with 4 home runs and 18 RBI and never really let up the rest of the way (September/October was only month he didn’t bat at least .275). For the season as a whole, Diaz cracked 17 home runs, collected 64 RBI, and batted an even .300. What allowed Diaz to perform as well as he did offensively was the fact he was as good as a rookie could be in terms of striking out (just a 13.0 K/9) and also drawing walks (8.9 BB/9). That is a combination which will allow any hitter to bat .300 in their sleep and so Diaz was no fluke in the average category. As far as the rest of the numbers are concerned, Diaz doesn’t run much (4 steals total) which is a negative in the middle infield but 20 home runs is very much in play to offset that. While Diaz won’t ever win you a league, he certainly can be a terrific plug-in and-never-look-back fantasy baseball shortstop. Here are the final 2016 fantasy football QB rankings with an eye toward 2017. Again putting the finishing touches on the 2016 fantasy football season, let's take a look at those players who went BUST for their owners and caused the most damage to their chances over the last four months. QB (3)-Cam Newton, Russell Wilson, Eli Manning: Listen we told you all to avoid both Newton and Wilson heading into the season as the planets aligned for both in their big 2015 campaigns in terms of passing numbers and were not going to be repeated. That is exactly what happened as Newton sank to just 18 passing TD's and Wilson just 20. Making matters worse, both guys stopped running in rushing for under 400 yards each which really hurt their values. Always go with the traditional pocket passer. Meanwhile Eli Manning was a big letdown considering his trio of wideouts and coming off two top years in a row in the Ben McAdoo system. Well poor offensive line play and no running game helped derail Manning to the point he was a streamer by the end of 2016. RB (4)-Adrian Peterson, Lamar Miller, Doug Martin, Todd Gurley: No arguments with any of these guys as two were complete first round bombs (Peterson and Martin), while Miller fell way short of expectations after being a mid-first round pick based on potential in the Houston system. Martin also looked like a runner who "bounced" off a huge workload the year before. It also looks like we have reached the end of the line with Peterson as a prime runner given his age and injuries. Finally, Gurley was downright pathetic with no 100-yard games and lacking he burst he had a year ago as a rookie. Part of the blame goes to the awful Rams O-line but Gurley was plain bad also. WR (6)-DeAndre Hopkins, Alshon Jeffery, Sammy Watkins, Donte Moncrief, Keenan Allen, Marvin Jones: Hopkins stands out here given his first round grade and underwhelming numbers coming off his monster 2015 breakout. The rest dealt with injuries and inconsistency. TE (3)-Rob Gronkowski, Coby Fleener, Jordan Reed: When you start the year injured and end it injured, it was a bad one (Gronkowski). Fleener never found traction in the New Orleans passing offense which says a lot about him and Reed left his owners in a huge lurch in Week 15 that almost broke Twitter. It was a full housecleaning on Tuesday in Buffalo as head coach Rex Ryan was fired just short of his second year with the team after signing on for five years prior to the 2015 campaign. Rex' brother Rob was also fired as an assistant coach and QB Tyrod Taylor was benched for backup E.J, Manuel for the season finale. Analysis: It was expected that Ryan would be fired but the Pegulas couldn't even wait until Black Monday to do so. Ryan joins Jeff Fisher as coaches who have already been canned and there will be a bunch more to come. As far as Taylor is concerned, the Bills were looking to avoid paying him $30 million if he got hurt in the season finale and they are expected to release him in the offseason. In truth, Taylor was pretty solid for the Bills in 2016 as he tossed 17 touchdowns with just 6 picks, while also rushing for another 6 touchdowns on the ground. Someone will pick up Taylor as a starter during the offseason, while the Bills will now likely look to the draft for their potential franchise passer this May. It was only fitting that it was Dallas Cowboys running back Ezekiel Elliott who put the final nail in my coffin last night in the Experts League Fantasy Football PPR final. In what was admittedly my biggest forecasting miss of the season by a mile, Elliott was a guy I pegged as a bust candidate due to off-the-field trouble and injury issues going back to college. Training camp seemed to validate those concerns as Elliott played poorly, got hurt, and dealt with off-the-field issues but when the lights came on, he was the best rookie running back since Adrian Peterson. While we did correctly report that Elliott would get just 10-12 carries against the Detroit Lions (he would get exactly 12), he made the most of it in rushing for 80 yards and 2 scores. Throw in one catch for 12 yards and I lost by two points. Yeah that hurt. I will rue by decision to go with Vernon Davis (2 points) over Martellus Bennett (9) right before Saturday's games got underway for sure but on the flip side, my opponent did the same thing benching Tyrod Taylor (37 points) for Marcus Mariota (10) as well so really it is futile to do such second-guessing. That makes it two losses in the final in the last three years. It is nice to get there but tough to see it slip away to someone else. The championship week in fantasy football had its share of duds and studs this past weekend but one guy firmly in the latter category who stood out was Miami Dolphins running back Jay Ajayi. Ajayi was mostly ignored this past summer during drafting season but took full advantage of an opportunity to be a starter midway through the 2016 campaign. He wound up performing superbly for the price of a waiver claim and is now right there as the fantasy football values plays of the year. It didn't start out so rosy though as there couldn't be a more polar opposite in terms of impact during 2016 then what we saw from Ajayi. After losing out to Arian Foster to be the starting back for the Dolphins to begin the year, Ajayi went AWOL right before the opener. While Ajayi was eventually welcomed back after being disciplined, he didn't wrest the starting job until Week 6. What we then saw was beyond spectacular as Ajayi turned into Walter Payton overnight as he ran for 204 and then 211 yards in Weeks 6 and 7. While he was a bit up and down the rest of the way, Ajayi came up huge in the fantasy football championship round as he rushed for 206 yards on 32 carries against the Buffalo Bills last Saturday. The third 200-yard rushing game for Ajayi this season made him one of only three backs to ever accomplish such a feat (O.J. Simpson and Earl Campbell were he others) and his stock for 2017 fantasy football is going to shoot way up. In looking at Ajayi's running numbers (1,213 yards at 5.0 per carry), he goes firmly into low-end RB 1 territory in standard formats. In PPR leagues though Ajayi gets downgraded a bit as he caught just 24 passes. While not a zero there, Ajayi is more Adrian Peterson when it comes to being run-heavy then anything he does in the passing game. Still this is one stock aiming upwards. Wow. Things were looking beyond bleak as the fourth quarter got underway between the Pittsburgh Steelers and Baltimore Ravens Sunday night in terms of my prospects to win the Fantasy Sports Boss Fantasy Football PPR Experts League. As the fourth quarter began, I was trailing by a few points as my opponent still had Spencer Ware and Ezekiel Elliott. A monster fourth quarter for Le'Veon Bell and Antonio Brown later (including a later dud by Ware) and I am now leading by 20 points going into tonight as my opponent has only Elliott to go. Unreal. I already wrote my obituary yesterday on Twitter but now I have a 50/50 chance to win as Elliott can easily go off and take it away. It will come down to Elliott's usage tonight in terms of what he could do and that will decide things between us. It just doesn't seem meant to be. All the signs were there Saturday that this season was not going to be a winning one for yours truly in the fantasy football Experts League finale. It started early when Martellus Bennett (who I benched for Vernon Davis right before kickoff) caught a TD pass and went through my kicker Stephen Haushka unbelievably missing a PAT which cost me a precious point. In between my opponent loses Marcus Mariota to injury but his tight end gets a TD on his only catch of the game (Tyler Brate). Then there was the fact that my Titans defense scored -1 points and that marked the second week in a row my defense gave me a negative (Minnesota -5 last week) which is almost impossible. Drew Brees tossed just one TD and Michael Crabtree and Brandin Cooks (while having good overall games) failed to score. The topper though was seeing 44 points from one player on my bench in the form of Adam Thielen. Now I wont beat myself up over that since I would have never considered Thielen over any of my receivers but it was just how the day was going. Finally, I had Charles Clay on my roster and in the starting tight end slot up until Friday when I cut him for Bennett. Then Clay nabs 28 points Saturday. So what I am looking at now being down 10 is I have two big guns in Antonio Brown and Le'Veon Bell but my foe has Spencer Ware, Ezekiel Elliott, and Justin Tucker. In other words, it is not looking good. Of course I am hoping Jason Garrett scales back the carries of Elliott and reports are he will do so. But it likely won't be enough. You can't win them all. The Dallas Cowboys sewed up the top seed in the NFC playoffs and as a result, head coach Jason Garrett may bench or greatly limit the amount of carries running back Ezekiel Elliott receivers for Monday's game against the Detroit Lions. Analysis: Wow. This could potentially decide scores of fantasy football title games so get Alfred Morris or Darren McFadden on your team if you are an Elliott owner. This is a must watch situation given the huge ramifications it carries. Oakland Raiders QB Derek Carr, in the midst of an MVP season, suffered a broken fibula Saturday in the team's win over the Indianapolis Colts. Cincinnati Bengals ace wideout A.J. Green was assumed to be a 100 percent GO for Saturday night versus the Houston Texans but reports are circulating that he is far from certain to suit up. Green apparently still feels some soreness in his hamstring and the Bengals are not going to risk further injury in a game that carries little playoff meaning. Analysis: The reports are saying Green will get work done on his hamstring early in the day and then see if he can go in warmpups. That is not a good thing for his fantasy football owners as the Bengals play late Saturday and that eliminates quite a few replacement options. Not the news Green's owners want to hear waking up this morning. Houston Texans running back Lamar Miller is likely to take a seat Saturday night for the Houston Texans' game against the Cincinnati Bengals due to the ankle injury that has held him back for weeks now. Miller will be replaced by Alfred Blue and Akeem Hunt in a timeshare situation. Analysis: This puts the topper on what was a bust of a season for Miller who went as a mid-first round pick mostly on projections in moving to Houston. The fact of the matter is that Miller supplied very few big plays and showed little burst. He also was not much of needle-mover in the passing game as well. Meanwhile it is very risky using either Blue or Hunt given we don't know how much work each will receiver. Washington Redskins tight end Jordan Reed will be OUT Sunday with an injured shoulder according to multiple reports. Reed will be replaced by Vernon Davis against the Chicago Bears in a huge game for the team's playoff push. Analysis: Obvious move here but then again Reed should have been out last week when his name nearly broke Twitter in one of the all-time greatest and most intense anti-player discussions I have ever seen when it comes to fantasy football. Davis is a very quality replacement against a soft Bears defense and I would absolutely give the green light to use him there. Here are the fantasy football championship week tight end rankings based on opposing matchups. Here are the fantasy football championship week wide receiver rankings based on opposing matchups. Here are the fantasy football championship week QB rankings based on opposing matchups. The Cleveland Indians waited out the free agent market of first base slugger Edwin Encarnacion and were rewarded after they signed him to a three-year deal late in the day on Thursday. Encarnacion was looking for a five year deal on the open market but the expected high amount of suitors never materialized much in the same way it happened to Yoenis Cespedes last winter. Analysis: Just a great move by the Indians who get Encarnacion on their teams and with a solid but not ridiculous contract. The only knock is that Encarnacion himself moves from arguably the best power ballpark in the majors in Toronto to a neutral one in Cleveland. Chop just a few home runs and RBI from his ledger and still go with Encarnacion in the second round of the draft. Fantasy football championship week kicks off tonight as the New York Giants and Philadelphia Eagles renew acquaintances. Injury issues are never bigger then they are now and so let's check in on the prime names and what their statuses are for Week 16. -By now it was obvious that Cincinnati Bengals wideout A.J. Green would be making his return to the team and his fantasy football owners for the championship week. Green had already gotten in nearly a full week of practice leading up to Week 15 but the Bengals played it safe with his hamstring and held him out for this weekend. This comes as tremendous news to the Green owners who are still alive in their leagues and he should instantly go back to being the number 1 target of QB Andy Dalton and stand a good chance of having a big game against the Houston Texans. The issue here though is that Green's return will come at the expense a bit in terms of the receiving numbers for tight end Tyler Eifert. -Speaking of Eifert, he sat out Thursday's practice for the team and still has not put in any work yet as he battles a sore back. With Eifert having a history of back trouble and given the short week, he can only be considered about 50/50 to go. That means A.J. Green should be an even bigger part of the Bengals passing game. -One tight end who seems just fine is the Carolina Panthers' Greg Olsen who was back at practice Thursday after missing time earlier in the week with a sore elbow. Nothing to see here as Olsen is good to go and given the injury issues of the top guys around him, is arguably the top play among tight ends. -Again staying at tight end, Jordan Reed looks like he will sit Saturday as he continues to battle shoulder trouble which was an injury that first cropped up on Thanksgiving. We all know by now what a disaster Reed was on Monday night but him being out actually makes Vernon Davis a good start. -Matt Forte is almost certain to sit out Week 16 as he battles not only the torn meniscus in his knee but also a new shoulder injury that he suffered in his cameo on the field last Saturday night. That means it will be all Bilal Powell all day for the Jets. The New England Patriots have a top run defense though so Powell will likely do more of his damage in the passing game. -The ankle injury of Houston Texans running back Lamar Miller is becoming a big concern as he sat out practice again on Thursday. Already a huge disappointment after being drafted in the mid-first round in most drafts, Miller also is about 50/50 to play this weekend. Akeem Hunt and Alfred Blue will likely split work in Miller's absence which makes them unable to help their fantasy football owners. -No problems for Panthers QB Cam Newton who was a full participant in practice on Thursday despite dealing with a new shoulder injury that he suffered in the team's win over the Washington Redskins. The Atlanta Falcons defense has played better but Newton should be started. Well that encore didn’t go according to plan. We were never more proud then when we tabbed Arizona Diamondbacks developing outfielder A.J. Pollock as one of our most hyped fantasy baseball sleepers for the 2015 season and then sat back and watched him put up a monster five-category superstar campaign. Operating mostly out of the leadoff or number 2 spot in the Arizona order, Pollock batted .315 with 20 home runs, and 39 stolen bases. Pollock also put up a huge tally in runs with 111 and even chipped in with 76 RBI ,which is a tremendous number considering the batting spot. No matter how you looked at him, Pollock’s 2015 haul was that of a top tier fantasy baseball outfielder and so it was no shock when he sailed into second round territory for 2016 drafts. It was then where fate intervened as Pollock fractured his elbow in spring training which landed him on the disabled list to begin the year and even threatened his season in general. Pollock’s injury was about as huge a blow as could be felt given the high draft cost and the fact Pollock didn’t even take a swing that counted. Still for those who kept him stashed on their roster, Pollock fought his way back to the team in late August where he flashed his 2015 power/speed game by cracking 2 home runs and stealing 4 bases in 41 at-bats. Alas a very bad situation somehow got worse when Pollock suffered a mid-September groin injury that finished his season early. So in the end Pollock’s owners got only those 41 at-bats and his season served as a firm reminder that disaster can strike any player at any time. So in terms of what you do with Pollock moving forward, the obvious call is to completely throw out his 2016 and give him a giant mulligan since there is still a ton of ability here. Keep in mind Pollock is still only 29-years-old and the fractured elbow was a fluke-type injury that does not in any way earn him a health risk designation. 2015 is very repeatable given the remaining youth and home ballpark and again on paper would put Pollock close to the top tier outfielder realm. The best part in all this though is that since many were burned by Pollock last season, his 2017 draft price will come down by a sizable margin and that means he could turn into a huge value once again like he did in 2015. Count us among those who are big fans of Pollock and who suggest you put last season totally out of your mind and draft him with aggressive confidence this spring. New York Jets head coach Todd Bowles took a lot of heat for suiting up injured veteran running back Matt Forte in Week 15, this despite the fact he was diagnosed a few days prior with a torn meniscus in his knee. In addition to earning the wrath of the fantasy football community (at least for those who got last minute cold feet when it came to starting Bilal Powell given the uncertainty of carries), Forte complained after the game and in practice this week that his knee is really bothering him. As if that wasn't bad enough, Forte also came down with a shoulder injury during his limited work last Saturday and it is that injury now that has Bowles thinking his starter stands a good chance of sitting out versus the New England Patriots on Christmas Eve. Under that scenario, the surging Powell would be knocking on the RB 1 door due to his terrific ability both in the run and receiving game. Powell showed those skills last Saturday by rushing for 84 yards on 16 carries and catching an insane 11 passes for another 78 yards. The strength of the Pats defense is up the middle but those in PPR should be especially excited about what a full workload could mean for Powell's numbers. Even if Forte would be able to go, he would just get a few carries which makes Powell a must start play this week. It has been a very trying second half of the season for Minnesota Vikings slot receiver Stefon Diggs. After coming out of the 2016 fantasy football gates looking primed to be the next big PPR dynamo, Diggs has slumped into a seemingly never-ending cycle of injury and underwhelming catch numbers since the middle of November. Knee issues have now been followed by an apparent concussion that Diggs suffered last week and that now has him placed in the concussion protocol. This follows a horrid last two weeks overall for Diggs who has caught just 5 passes in that span. The fact Diggs is still in the concussion protocol this late in the week is not a good sign for his fantasy football availability for the championship week but the fallout is noteworthy since it will boost both the rising Adam Thielen and tight end Kyle Rudolph. At the very least, Diggs is not worth using even if he does play given the fact he is playing at less than 100 percent and also for the fact he has slumped. Take no chances in the championship and playing Diggs would be doing just such a thing. FANTASY FOOTBALL WEEK 16 ISSUES: NOT LOOKING GOOD FOR MELVIN GORDON, WHAT IS WRONG WITH MIKE EVANS? -There is very little chance that San Diego Chargers running back Melvin Gordon will return in time for Week 16 as he continues to try and recover from hip and knee injuries. Head coach Mike McCoy pretty much confirmed that Gordon needs at least another week to return and so that doesn't help any of his fantasy football owners. Gordon is a huge loss as he is the rare bellcow back who also has been a big TD guy this season. That means it will be another week of Kenneth Farrow and Ronnie Hillman. With Farrow doing a firm face-plant in getting the start last week, this is a situation to avoid entirely. -What is wrong with Tampa Bay Buc's ace wideout Mike Evans? Having not scored in three straight games, Evans suffered some sort of injury in Week 15 that head coach Dirk Kotter won't discuss. Be that as it may, Kotter said that Evans will be out there in a very juicy matchup versus the New Orleans Saints this Sunday. Evans should be able to torch the horrific Saints secondary and he is one of the best plays among receivers for the ultimate game. -Both Jordan Matthews and Darren Sproles are listed as questionable for Thursday Night Football as the Philadelphia Eagles. Ryan Mathews had a tremendous games running the football with Sproles out in Week 15 and his fantasy football owners hope he will get that chance again with Sproles sitting. The short week is always a tough deal when it comes to injuries for Sproles and Jordan Matthews but it appears as thought both will be ready to answer the bell. That puts Ryan Mathews into RB 2 status and quite risky to play but in standards we would sign off due to the decent touchdown potential. So into the finals yours truly went in the PPR Fantasy Football Experts League but just barely as Jordan Reed and Graham Gano almost conspired to eliminate me Monday night. Ultimately I wound up winning by just 1.5 points after going into the Carolina-Washington game up by 16. Yes that close. Be that as it may, I am going to try and defend last year's title with a team that has some holes and touch lineup choices going into the game. On the surface, this is my current roster as of this typing. So looking at the lineup, I am not going to use ANY of my bench players outside of maybe Montgomery, Now how do I currently have Montgomery on the bench after his insane game that helped me win last week? That is the dilemma as Howard and Bell are both must starts at running back and Cooks comes off a ridiculous game last week. The choice comes down to Cooks, Crabtree, and Montgomery playing only two. I will likely debate that the rest of the week. Then there is tight end where I wont use Reed under any circumstances after that fiasco Monday. I hope he sits so that I can use Davis who has been solid in his place this season. The waiver wire is filled with shaky options like Martellus Bennette, Charles Clay, Hunter Henry, and Jermaine Gresham. Ehhhh. So my opponent? He is the number 2 seed and this is what his roster looks like right now. He also has Michael Thomas, Alshon Jeffery, Randall Cobb at wideout, Marcus Mariota at QB, and Theo Riddick and Dion Lewis at running back. This owner was a big waiver guy throughout the year as he added Mariota, Ware, Brate, and yes A.J. Green who was cut after his hamstring injury that seemed to originally show he would miss most or the rest of the season. It pays to play the wire. So what do you think my chances are? Let me know. While there is still a longing in the fantasy baseball community for Cleveland Indians first baseman Carlos Santana to go back to donning the tools of ignorance due to the fact his very potent bat would play even better at the annually shallow catcher position, the fact of the matter is that the 34 home runs he hit in 2016 would play very well anywhere on the field. The always unconventional Terry Francona surprised many by putting the slow as molasses Santana into the leadoff spot at the start of the season in referencing his high OBP and walk rates. While it the move certainly raised eyebrows, in the end Francona’s strategy worked out about as well as could be given the numbers. While hitting leadoff obviously puts a bit of a hit on a player’s RBI total, Santana still managed to drive in 87 and he also chipped in with 89 runs scored. A longtime batting average liability, it needs to be noted that Santana showed some tremendous strides with his hitting in 2016 as he posted a career-best K/9 rate of 14.4 percent; which ironically was the exact same number of his very high walk rate. Also while Santana’s .259 average was not great, it was still miles ahead of the .230 marks that dotted his earlier years. Finally, Santana’s .259 average should have been even higher but he suffered from a very unlucky .258 BABIP. In the end, Santana seems to have the batting leadoff approach down pat already and his big power makes him a very good UTIL or CI option. FANTASY BASEBALL TRADE FALLOUT: RED SOX FINALLY DUMP CLAY BUCHHOLZ, CHANCE FOR MINI-REBOUND IN PHILLY? The Boston Red Sox had seen enough of veteran starter Clay Buchholz and finally unloaded him on Tuesday to the Philadelphia Phillies in what pretty much amounted to a salary dump. Entering into the last year of his contract, the 32-year-old Buchholz gets a fresh start in Philly and in the much easier National League as he comes off what was a truly horrific 2016 campaign. Pitching to a 4.78 ERA and having struck out just 93 batters in 139.1 innings a year ago, it certainly looked like Buchholz' days as a viable fantasy baseball starter were finished. As most of our habitual readers know, we have been about as big a Buchholz critic as there is in the industry in citing his ugly annual WHIP's and bloated ERA's. Now with Buchholz aging and seeing his K/9 rate sink to a pathetic 6.01 last season, there really was nothing left to talk about from a fantasy baseball ankle. That changes slightly now that Buchholz moves into NL as he obviously will now get to attack much weaker lineups and so a drop in his ERA/WHIP is likely. In addition, Buchholz will see his K/9 rate jump up some as well (it couldn't get any lower really) and so there is now a smidge of SP 5 value to be had here. Those in NL-only formats should be more intrigued here but Buchholz is really a boring veteran pitcher who is not going to make much a difference for your squad. Monday night was one of those occasions that won't leave the memory bank for quite awhile when it comes to the game of fantasy football. The game between the Washington Redskins and Carolina Panthers pitted two mediocre teams against one another that carries minor playoff implications but in fantasy football scores of league semifinal matchups hung in the balance through the various key offensive players for both sides. Early on in the game it quickly became clear that Redskins tight end Jordan Reed became the front-and-center name and soon enough, it felt like Twitter was going to break as missive after missing was posted in rapid succession regarding his complete absence from the passing game and even being out on the field despite being active. While Reed was active, apparently his previously injured shoulder (third degree separation suffered on Thanksgiving) was still a big problem that limited his usage to third down and in obvious passing situations. With Reed doing literally nothing in the first half, Twitter began to go wild as dreams of reaching the finals in many fantasy football leagues began taking on major water. Yours truly felt the same pain as the rest of the Reed owners, having prematurely proclaimed victory in the Experts League PPR semifinals with a 16 point lead and Reed still in my back pocket? My opponent's last weapon? A freaking kicker in Graham Gano. No way he gets 16 points. Well as we all know, Gano scored 15 and gave me about a thousand heart attacks throughout the game. I survived into the finals of the Experts League by the skin of my teeth but just barely. Meanwhile thousands of other Reed owners were not so lucky as he wound up catching just one pass for six yards. And in an unfathomable moment, Reed got himself ejected at the end of the third quarter for throwing a punch at Kam Chancellor. I mean seriously? A few lessons were learned through this fiasco for me. The first is that NEVER proclaim victory until the last stat is accumulated on both sides. The second is to NEVER trust any report on a guy "feeling good" or a player is "expected to be heavily involved in the offense." Third, avoid Jordan Reed in 2017 drafts. The guy is always hurt and never there for you when you need him. What a joke that whole thing was. Houston Texans head coach Bill O'Brien made the obvious call on Monday in naming Tom Savage his starting QB for Week 16. With the Texans trying to nail down a playoff berth and O'Brien vowing to play the best QB option no matter the salary, he put his money where his mouth was in naming the upstart Savage. Savage earned the look after coming in relief of a disastrous Brock Osweiler in the second quarter of last Sunday's win over the Jacksonville Jaguars and played pretty well in nailing down the win. While Savage did not throw or a score, he also did not turn it over unlike Osweiler who threw two more interceptions prior to being yanked. Over the last two preseasons, Savage has tossed 8 touchdowns and just 1 pick and he instantly showed chemistry with top wideout DeAndre Hopkins. With Hopkins having been dragged down by Osweiler's struggles, the fact he was targeted so much with Savage under center last Sunday was big. Those who own stock in Hopkins and are still alive in their leagues can now feel better starting him in the fantasy football championship at the very least. While Savage has not value yet, he stands a good chance of permanently unseating Osweiler for 2017. Having already put in almost a full week of practice leading up to Week 15, the news that ace Cincinnati Bengals wideout A.J. Green would be returning for Week 16 was not much of a shock. Out since November with a serious hamstring injury, Green returns at just the right time for his fantasy football owners still alive for their league title. Leading into the injury, Green was having another big year as he caught 66 passes for 964 yards and 4 touchdowns as the top target of QB Andy Dalton. With Green back in the fold, Dalton himself becomes more interesting in two-QB formats for Week 16 and obviously his top wideout should be started in all formats as he gets set to face the Houston Texans. -Golden Tate continued with his second half renaissance Sunday as he caught 8 balls for 122 yards in a loss to the New York Giants. While he didn't score, Tate was a PPR stud again at the expense of Marvin Jones who continues to be invisible after his insane September. -Marcus Mariota all of a sudden has gone quiet as he was almost a complete no-show for the second week in a row as he completed just 19-of-33 passes for 241 yards with 0 TD and 1 INT. Still the overall result for Mariota this season is that he has shown himself to be a prime fantasy football QB as he reached the 25-TD passing mark and also is a very good runner. He figures to be one of the best QB values for 2017. -Odell Beckham Jr. has been unstoppable the last few weeks and Sunday was no exception as he caught 6 passes for 64 yards and 1 late TD in the team's win over the New York Giants, With Julio Jones cooling off under injuries the last month and Antonio Brown himself having seen his numbers drop off, Beckham it can be argued is the top fantasy football wideout in the game. -Well the return of Adrian Peterson to active duty did not go according to plan as he struggled badly finding room along the awful Minnesota O-line in rushing for just 22 on 6 carries and losing a fumble. Peterson did not even make up for it as he caught only one pass for 1 more yard. Those who rolled with Peterson got royally screwed here and his status for Week 16 is not glowing either. Age and injury looks like they are conspiring to make Peterson a clear shell of his former self. -Usually by this time of the year, Frank Gore is on fumes given his age and the high mileage on his tires. Well that wasn't the case Sunday as he rushed for 101 yards on 26 carries, while also catching 4 balls for another 14 yards. Gore and then entire Colts offense was unstoppable on Sunday and his workload remains as firm as any back in the league. He can be safely used as a RB 2 in all formats in Week 16. -Andrew Luck was a stud for his fantasy football owners in the semifinals as he completed 21-of-28 throws for 250 yards and 2 touchdowns in the easy win over the Vikings. Luck was in total control throughout and only the lopsided score prevented him from earning more points this week. -With Darren Sproles and Wendell Smallwood out injured, it was all left to Ryan Mathews to pick up the slack as the precious bellcow back for the Philaelphia Eagles as he rushed for 128 yards and a TD on 20 carries. Mathews also added one catch for another 5 more yards in putting forth a nice RB 2 outing. It is always tough to trust Mathews when it comes to his numbers each week given the injuries and up-and-down performance but at least the amount of carries will remain high going into next week. -It took almost the entire season but Houston Texans ace wideout DeAndre Hopkins finally had the type of game that made him a first round pick in most drafts this summer. Hopkins caught 8 passes for 87 yards in showing instant chemistry with Tom Savage who replaced the benched Brock Osweiler. Look for Savage to continue looking Hopkins' way early and often as the QB knows his best chance to stick is to look for his top guy. While the entirety of Hopkins' season has been a huge disappointment, it is something that he is contributing when it counts the most. -In one of the darkest days in franchise history (which is saying something), Jacksonville Jaguars QB Blake Bortles emphatically showed he is not the answer at QB as he completed just 12-of-28 passes for 92 yards with 1 INT, while also picking up a rushing touchdown which put lipstick on a pig. Bortles has been comically bad this season and he more than anyone helped get Gus Bradley fired. I said from the start in putting Bortles in our BUST column in this year's draft guide that he was a garbage time specialist a year ago and we are seeing how accurate this assessment was. -While he didn't light the world on fire, Tom Savage did more than enough to earn the start next week for the Texans as he completed 23-of-36 passes for 260 yards with 0 TD and 0 INT, while also rushing for 3 times for no yards. Savage did show poise that we have not seen from Brock Osweiler all season and it was nice to see him throw so much to DeAndre Hopkins. At the very least, all owners of the ace wideout have to be hoping Savage starts again. -By now we have run out positives to say about Tennessee Titans running back DeMarco Murray who rushed for 89 yards on 18 carries, while adding five catches for another 52 yards Sunday in the team's late win over the Kansas City Chiefs. The Titans made one of the all-time buy lows on Murray last summer and the results have been spectacular. Murray has re-established himself as a prime RB 1 in all formats and he especially excels in PPR setups. What a comeback. -One of the biggest fantasy football busts of the day was the Baltimore Ravens' Kenneth Dixon who picked up just 36 yards on 6 touches. Meanwhile Terrance West was firmly back in the team's driver's seat in terms of dominating touches as he rushed for 77 yards on 13 carries and caught 4 balls for 45 more yards. It is almost impossible to predict what will happen here on a weekly basis but West looks like the guy to own from a RB 2 perspective in the finals. -Well that went well. This past Friday I myself picked up Green Bay Packers running back/wideout Ty Montgomery after rumor had it he would be starting for the team. Well I put Montgomery in one of my WR spots since he carries dual eligibility and was doing cartwheels as I watched him rush for a ridiculous 162 yards and 2 scores on 16 carries. It was insane how good Montgomery was and now he is a must start for the finals given what we saw. Montgomery alone likely decided more fantasy football games this week than any other player. -Buffalo Bills running back LeSean McCoy is fully back on track picking up large chunks of yardage and touchdowns as he rushed for 153 yards and two scores on just 19 carries, while also adding 3 catches for 16 yards. Just like with DeMarco Murray, McCoy has come back and posted a monster season off a tough 2015 campaign. He is has been a swell value all season and will anchor any roster next week. -As someone who owns Drew Brees and has ridden him all season, I stuck to my guns and started him on the road against a very tough Arizona Cardinals secondary this week. I decided to go that route due to my strong belief that Brees would not struggle three games in a row in coming off a 0/6 TD/INT ratio in Week 13 and Week 14. Well Brees made me look smart and wound up clinching a spot in the Experts League fantasy football championship as he completed 37-of-48 passes for 389 yards with 4 TD and 1 lost fumble. It was amazing how easy of a time Brees had with the Arizona secondary and now he goes home to a dome to play the Tampa Bay Buccaneers next week. Yes please. -Once again it is either all-or-nothing when it comes to Saints wideout Brandin Cooks. Having an overall disappointing season, Cooks torched Cards CB Patrick Peterson all day Sunday as he caught 7 passes for 186 yards and 2 touchdowns. Cooks has made it a career of having monster games like this once a month. This makes Cooks tough to trust in any given week but you have to ride him out now after this. It took 15 weeks but the Houston Texans finally benched struggling QB Brock Osweiler after he struggled into the second quarter against the Jacksonville Jaguars. Osweiler has been terrible all season in the first year of his mammoth free agent contract he signed last winter. Analysis: Just pathetic, We have said from the start of the season how bad Osweiler has been and he has dragged down the fantasy football values of Lamar Miller and DeAndre Hopkins. The Texans have a playoff team otherwise and so we understand the move. The Green Bay Packers will go with Ty Montgomery as their starting running back Sunday in a big game versus the Chicago Bears. Montgomery gets the nod over Christine Michael and the concussed James Starks. Analysis: I picked up Montgomery in the Experts League this week and will put money where mouth is and roll with him in the semis. Montgomery tore up the Bears in the middle of the season with his pass-catching and I think he will be a big PPR weapon again in the frigid weather. As we always strive to do, our readers often determine the direction we take our business. One topic that has come up a lot is to create a subscription for all of our annual draft guides so that those who buy each one throughout the year don't have to keep coming back to make each individual purchase. So with that said, we are ready to unveil our Fantasy Sports Boss Draft Guides/Books subscription service for just $69.99. Your paid subscription guarantees you our FOUR annual paperback annual guides (fantasy baseball early offseason edition and post-free agency edition, fantasy football annual, and NFL collegiate prospects draft guide). This is a savings of $26.00 as each ships free (unlike individually which requires a $3.99 ship price) and each books is discounted as well. 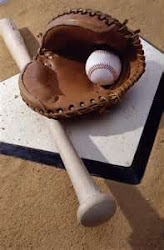 If you subscribe when baseball season is already underway, your subscription starts with the fantasy football draft guide and then comes back around to include the next year's fantasy baseball draft guide. Remember that our guides are thick books and not magazines and we are the only publication out there that devotes a full paragraph or more on each player unlike the magazines which devote a few sentences. Use the BUY NOW tab below or to the right of the homepage to subscribe. 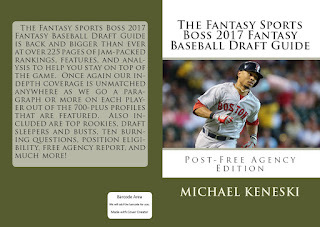 Also we unveiled our cover for the fantasy baseball post-free agency draft guide edition due out in January which has Boston Red Sox outfielder Mookie Betts on the cover. Hurry and join us now. So who started Matt Moore in their fantasy football playoff? My goodness Moore showed that he is every bit as capable of being a starting QB in the NFL and it would not be a shock if he is leading a team in Week 1 of next season. That is especially true off his tremendous performance Saturday night as Moore made his first start in years replacing the injured Ryan Tannehill and proceeded to carve up the New York Jets to the tune of 12-of-18 passing for 236 yards with 4 TD and 1 INT. Moore in particular was very sharp with the deep ball as he connected on bombs to Kenny Stills and Jarvis Landry. Moore gets the Buffalo Bills next week and all of a sudden he looks like someone we would absolutely roll with in two-QB formats in the finals. -Then there is the truly insane situation with the Jets backfield as they announced shortly before the game that Matt Forte would be active against the Dolphins despite dealing with a torn meniscus in his knee. As a result, many Bilal Powell owners benched him outright in seeing a strict timeshare situation. With it being the fantasy football semifinals and you having to be extra cautious as an owner, this was an understandable move. Well Powell started the game and of course went wild to the tune of rushing for 84 yards on 16 carries. while also catching an insane 11 passes for 78 more yards. It was a PPR special all the way for Powell and no doubt there are scores of his owners who are crying in their breakfasts this morning over the missed opportunity. At the very least, Forte's age and Powell's obvious ability should mean the Jets cut the former and make the latter the strict starter next season. If that were to materialize, Powell would be a swell and borderline RB 1 in PPR formats. -Wow Brandon Marshall has been as big as bust as you can get this season. With his numbers WAY down across the board this season, the rock bottom came Saturday night as he caught just one pass for 11 yards. By now most of Marshall's owners are looking for another option to use in his place but many also reflexively played him given the stature of his name. Well Marshall has been ungodly bad this season and now one has to wonder if age is catching up with or if the putrid Jets QB play has been more responsible. Either way, Marshall's days as a WR 1 are finished for now at least. -Jarvis Landry has always been a PPR delight with his high catch totals but in standard formats he has been less valuable given his lack of TD's. Well Landy did a standard league deal against the Jets by catching 3 passes for 108 yards and a score. Nice and compact outing. In what can only be seen as a major surprise, New York Jets running back Matt Forte is ACTIVE and will start Saturday night versus the Miami Dolphins. This after Forte revealed he has a torn meniscus in his knee and it is an injury that took him out early in Week 14. Analysis: Wow all Bilal Powell are banging their heads against the wall. This is a huge blow to Powell's fantasy football value and honestly the best course of action is to bench him given the uncertainty of playing time. The Jets are clueless and stupid for playing an injured veteran in a game that means nothing. What a joke. Here are the all-important fantasy football QB rankings for semifinal Week 15. The Miami Marlins did their best to try and procure one of the top three dominant closers on the free agent market but they wound up striking out with all three (Mark Melancon, Aroldis Chapman, and Kenley Jansen). In fact you could say they went 0-for-4 due to the fact that their fourth closing option of Koji Uehara wound up signing with the Chicago Cubs to set up their new stopper Wade Davis. So in essence the Marlins then began to remake the setup corps in front of incumbent closer A.J. Ramos and they were very successful in doing so after signing not only Junichi Tazawa but also Brad Ziegler on Friday. Both Tazawa and Ziegler will join fireballing sensation Kyle Barraclough to form arguably one of the best bullpens in baseball. Of course unless you count holds, none of those three have much fantasy baseball value since Ramos will be the one earning the saves. However Barraclough is someone we have long-term interest as he has insane stuff that makes him a classic closer candidate. With Ramos still not being able to solve his control woes, Barraclough could be moving into the ninth inning at some point during the 2017 season. Well that shouldn't have surprised anyone. Bionic man.....er...we mean Minnesota Vikings running back Adrian Peterson says he will be active for the team in returning for this Sunday's game versus the Indianapolis Colts. Having been ruled out for the year by a majority of publications after suffering a serious knee injury in September, Peterson once again attacked rehab to put himself in position to get back onto the field. With a cupcake matchup against a perennially weak Colts defense, Peterson all of a sudden has instant immense fantasy football appeal for those who held onto him or who picked him up off waivers as I myself did. The question now is how much Peterson will actually play and how effective he will be. Well considering that Matt Asiata is likely to sit with his own injury woes and Jerrick McKinnon is not even in the same ballpark as Peterson as a runner, it would not be a shock to see the latter ridden hard right out of the gate since the Vikes' playoff hopes are dire. Throw in the soft Colts defense and Peterson is set up for a smashing debut. Why not? Once again the injury news is of chief importance with the fantasy football semifinals already underway starting Thursday night. With that said, here are some early Friday news items that surely have a decent impact on this week's games. -The Philadelphia Eagles have ruled out RB Darren Sproles due to the concussion he suffered last Sunday on that cheat shot hit while fielding a punt against the Washington Redskins. With Sproles out, Ryan Mathews is set for a huge workload against the Baltimore Ravens. In terms of the backup, count on Kenjon Barner getting a few carries but nothing to make him fantasy football relevant. -Theo Riddick didn't practice on Friday which is a very bad sign for his availability Sunday against the New York Giants. With Riddick remaining hobbled with a sore wrist, Dwayne Washington will get the majority of carries in the rain against a tough Giants D. Washington has very little fantasy football value this week. -Donte Moncrief just can't kick the injury bug this season and now he is expected to sit out Sunday against the Minnesota Vikings with a hamstring injury. That means the disappointing Philip Dorsett will get another chance to show he is not a big first round bust but he should not be added to your roster. Yes we admit it. We told you all to avoid Minnesota Twins second baseman Brian Dozier for 2016 drafts and 42 home runs, 104 runs, and 99 RBI’s later, there was plenty of egg on our faces. The reasoning we were so down on Dozier entering into the year was pretty obvious. The guy had just put a 2015 performance in the rearview mirror where his stolen bases slipped sharply and his .236 average stretched to 4 seasons out of 4 where he could not even bat .250. While the 28 home runs were nice, such an ugly average takes some starch out of the power numbers as any fantasy baseball veteran would tell you. With four MLB seasons in the books, we felt there was enough of a sample size to draw our “try and avoid drafting” conclusion but Dozier’s insane 2016 numbers said otherwise. Getting back to the numbers, not only did Dozier set a career-best in home runs by 12, his overall hitting improved as well which was perhaps even more important to his value. Dozier’s final .268 average was almost like he hit .300 considering the very bad struggles he previously had in this area. In addition, Dozier upped the steals to 18 (gaining 6 from 2015) which again boosted his bottom line fantasy baseball standing. Now of course we have to throw a bit of cold water on Dozier’s performance by pointing out the outlier aspect that is in play here. Dozier was far-and-away above his career norms both in home runs and batting average and so this needs to be factored into what you will pay for him in 2017. We can easily see Dozier slide back to 30 homers and a .250 average and that could be a bad development based on where you like will have to draft him this spring. This is why some discipline will be needed here when weighing an investment in Dozier and ideally, we would be apt to not chase the career year since that usually leads to disappointment. There was almost unanimous consensus regarding the fact New York Jets backup running back Bilal Powell was the top waiver add for fantasy football Week 15. Coming off a monster performance the previous Sunday where he rushed for a massive 145 yards on 29 carries (plus 5 catches for 34 more yards), Powell was a star in spelling Matt Forte who came down with a torn meniscus in his knee. Forte has yet to practice this week and will reportedly be a game-time call. Since the Jets are out of playoff contention, there is no need to take chances with Forte against the Miami Dolphins. Complicating matters is the fact the game will be played Saturday night (thus eliminating another recovery day) and in the snow and wind which increases the chance for more trouble. As a result of the weather and his own skill, Powell looks like a lock as a top RB 2 this week in the semifinals of fantasy football. The workload will be there and Powell also can be a big help in PPR leagues since he can catch the football. If you didn't snag Powell off waivers, let's hope you don't have to play him this week. FANTASY FOOTBALL WEEK 15 ISSUES: NO MELVIN GORDON, NOW WHAT? The news on San Diego Chargers running back Melvin Gordon was predictably not good Wednesday as it was reported he failed to practice with the team. The fact Gordon was sidelined was no shock at all since he looked to have sustained a very serious hip injury during last Sunday's game that spiked fears he was done for the year. Well Gordon got some good news in that the injury was not season-ending but the only thing his fantasy football owners cared about was whether or not he would be able to go in the playoff weeks. It looks like one of those weeks can be scratched off as Gordon has almost zero chance of playing this Sunday and so obviously it is next man up time in his place. On that front, Kenneth Farrow and Ronnie Hillman are in the picture, with the latter more potentially prominent then the boring latter. Farrow of course is the undrafted rookie who stands to gain the most with Gordon out and he showed some decent PPR ability spelling him last Sunday by catching 6 passes for 23 yards while also picking up 55 yards on the ground with 16 carries. Not the best rushing game by any means (3.4 per carry) but Farrow would be the play if you are a Gordon owner looking for a quick replacement. Hillman is not to be overlooked though as he could steal goal-line work and get more than a few carries since Farrow struggled noticeably in pass protection last week. Either way, those in PPR formats should give Farrow a whirl but in standards, it is best to keep him on the bench. Heading into the 2016 fantasy baseball season, one my better fantasy baseball sleeper candidates sat behind the plate in the form of the Arizona Diamondbacks' Wellington Castillo. While Castillo was no Buster Posey, he was also a productive catcher with the bat in terms of having 15-18 home run power and a batting average that won't kill you. As always, I am an avowed follower of drafting catchers in the late-to-mid-rounds in looking for value given the risks of picking one of the few top options early on. While Castillo did not light the world on fire, he was still very solid as he batted .264 with 14 home runs and 68 RBI in 416 at-bats. Again not earth-shattering numbers but they still put Castillo in top 12 status among backstops for fantasy baseball purposes. Now after inking a one-year deal with the Baltimore Orioles on Wednesday, Castillo winds up gaining a bit more fantasy baseball value given the massive power leanings of his new home ballpark and for the fact he can now DH on occasions if needed. Castillo no doubt will better his 416 at-bats from a year ago and that alone should give him another 2-3 home runs and a run at 75 RBI is not out of the question. Yes Castillo still strikes out too much to be more than a .265 average guy but Castillo is shaping up as one of the best catchers values yet again this season. We are buying.